JAW was born in Paris out of frustration at the fact that many DJs and musicians who we wanted to hear hardly ever played in our hometown. My friend Julien, my brother Edouard and I discovered records by Theo Parrish and Moodymann around 2000. In 2001, we were in London and heard Theo at Plastic People. We were blown away that night. Amsterdam had the Paradiso; London had Plastic People. 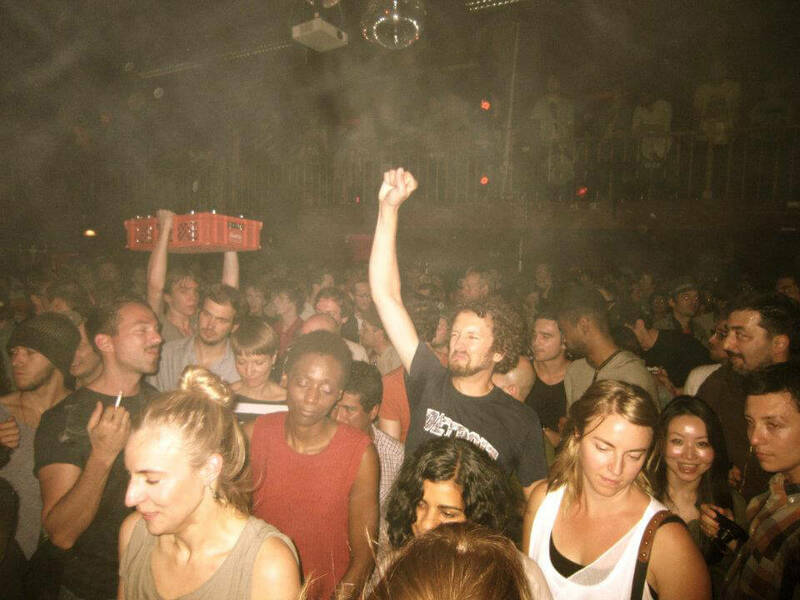 But back then, in Paris, it seemed there was mostly techno from Detroit, New York and New Jersey house or German minimal music. We wanted to build and shape something different in Paris. The official founding of JAW took place in 2005, when I saw Larry Heard at Robert Johnson. I couldn’t believe that he had never played in Paris, and when I asked him why, he replied, “I’m still waiting for someone to invite me.” So we held our second party with Larry Heard later that year. The first one was actually with Kid Sublime from Rednose Distrikt in Amsterdam. Unfortunately, the club flaked out on us three weeks before the party. We thought, “If we don’t do our first party, nobody will take us seriously.” So we quickly rented a ship located across from the Quai d’Orsay. Julien set up the sound system with his father, our sister took care of the entrance, our step-brother was running the bar with some friends—our mother even took care of the food. Without our close family, we could never have pulled off that party, and that’s how the idea behind the “JAW Family” kind of developed. 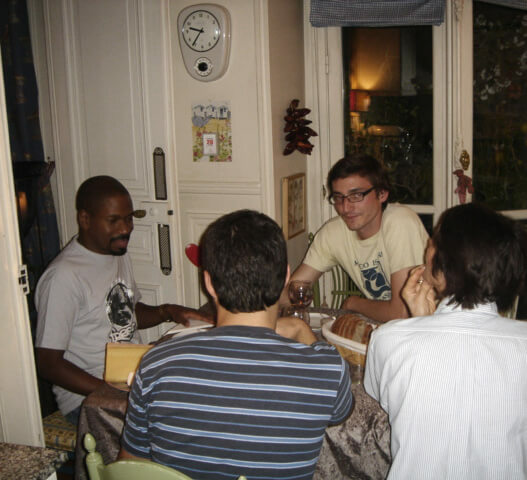 Since then, all DJs and guests have been served a traditional French meal at our home. We want to offer a family atmosphere as much as we can, because we do this out of passion. We want the DJs and musicians to get to know us as people and not just as promoters, so it’s important to us that they see how we live. Of course, we needed a real club for the party with Larry Heard, but unfortunately hardly any club booker in Paris could appreciate what this man means to people and music history. I even joked that Larry would have to play in our living room! We found a club a month or so before the party: Le Triptyque. In the end, the queue outside the club went around the whole block, and Larry played an unforgettable set. At five in the morning he even grabbed the microphone and sang over his song “Missing You” in a very intimate atmosphere, which was truly amazing. 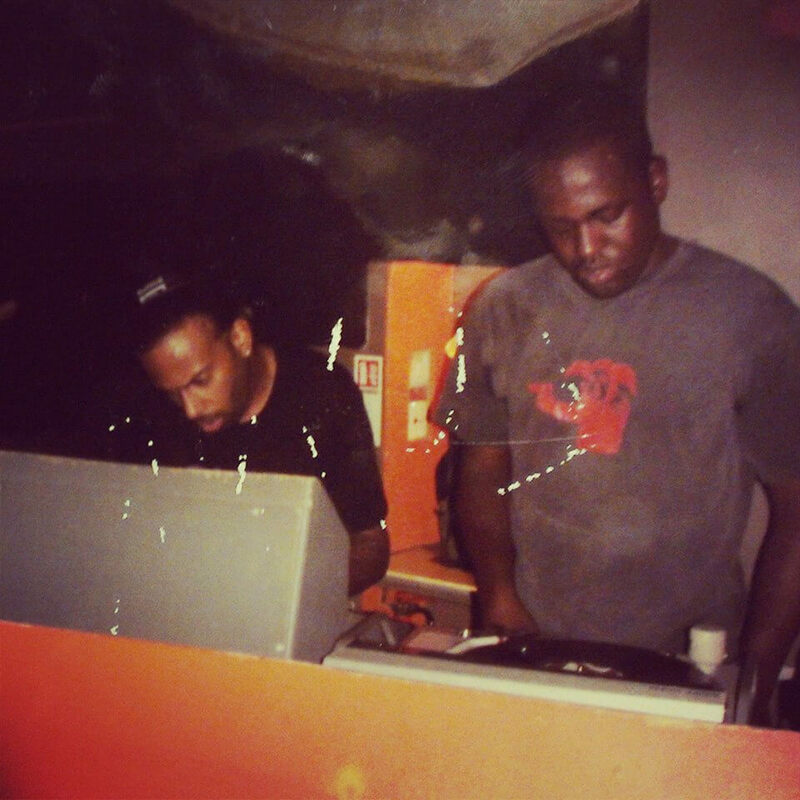 From then on we held many events at Club Djoon; that’s also where we did the first party with Theo Parrish. He played an important role for us and has always been an enormous musical influence, so we wanted to give Theo his first all-nighter in Paris. As usual, we had a meal with him at home with my mother and sister. I remember him enjoying his food while listening carefully to Mal Waldron’s music in the background. He was so enthusiastic about the French Dijon mustard that he even took a huge jar of it with him back to Detroit. The JAW Family story also includes the E&S DJR400 portable rotary mixer, which is a French mixer with incredible sound. Theo played on the mixer for the very first time at our party and he said after the night, “Next time you invite me, I don’t want a fee but the mixer instead!” He really meant that. Afterwards, all our guests played on that mixer, from Marcellus Pittman to Moodymann and Omar S to Sadar Bahar. For our tenth anniversary we’re glad to officially work together with E&S and Jerome Barbé, the engineer behind the mixers. We’ve always asked our favorite DJs about other artists who they think don’t get enough attention. Theo immediately mentioned Sadar Bahar, an underground DJ from Chicago who at that point had only played in the USA and Japan. He didn’t have a telephone or internet—and certainly no agent. But we tracked him down through his good friend Boo Williams, and we invited him to play. We hit a snag, though, when his records didn’t arrive in time for the party. He only had 50 records as hand luggage, so he only played those tracks all night. He had such an amazing collection that he was able to play every single track, because it was all just bangers. That night showed us just how special he is. At the end of the ‘00s I moved to Berlin, and I wanted to continue the JAW thing here. I discovered the Berlin club scene through places like Café Moskau, which I liked, but it closed. I also went to TAPE Club, where Hunee had a few parties at the time. Then I found Festsaal Kreuzberg at Kottbusser Tor. They used to hold Turkish weddings there. For me, the place had soul, like some of my favorite places in Paris, a perfect mix between a New Morning and L’Elysée Montmartre. 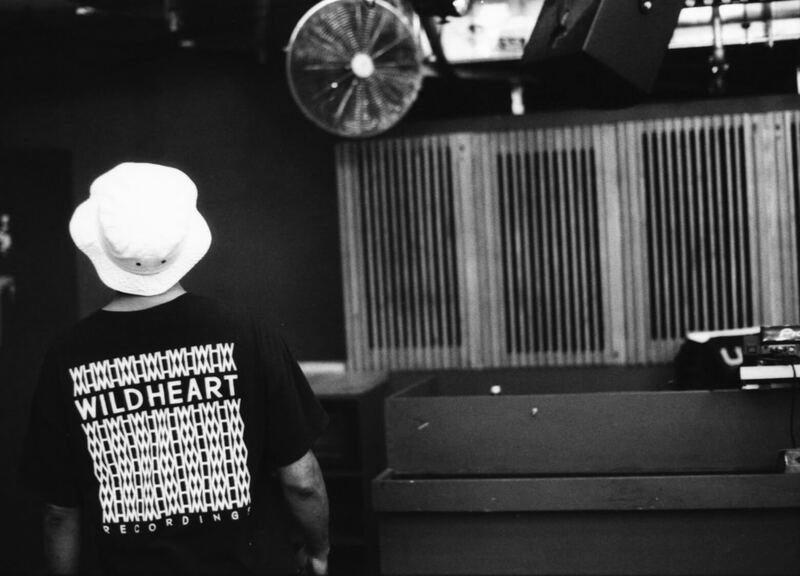 So we booked Theo Parrish and Sadar Bahar together at Festsaal on a Thursday night. They had never played together in Europe before. The night was amazing and pretty intense in a good way, mainly because both artists have a huge mutual respect for each other. It was a great collaboration with Festsaal; I loved that place. We didn’t just do DJ parties there, but also live concerts. Julien lived in New York at the time and got deep into the new jazz hip-hop scene with Robert Glasper, Bilal, Mos Def, Marcus Strickland, Chris Dave, Q-Tip, Taylor McFerrin and Christian Scott. 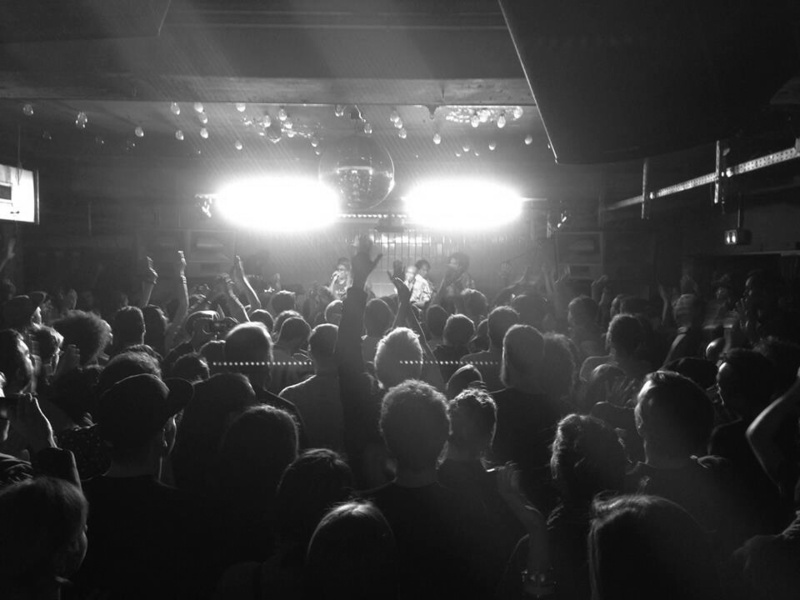 After Festsaal Kreuzberg burned down, we arranged concerts in different places such as Prince Charles, Monarch, Neue Heimat and YAAM, like last year with Hiatus Kaiyote or Kamasi Washington’s debut Berlin show. In 2012, we wanted to give something back to the legendary London venue Plastic People that closed down last year. Ade Fakile, the founder of the club who’s kind of our mentor and major inspiration was already living mainly in Nigeria. Sam Shepherd (aka Floating Points) embodied the future of Plastic People for us, so we hosted a night with Ade and Sam in Berlin. We also organized a Plastic People exhibition at the record store HHV with flyers and works by Ali Augur that told the story of the club. Ali even made the flyer for our party. That was the beginning of a permanent collaboration and friendship with Sam. And last but not least, we realized our dream of holding a JAW party at Plastic People with the Soul In The Hole crew, Sadar Bahar and Lee Collins. Gilles Peterson even let us use his E&S DJR400 rotary mixer. All of this meant a lot to us. This month, November 2016, we’re throwing a JAW “Family Reunion” over six evenings in Berlin and Paris. The idea is to look back at 10 years of the JAW Family. We tried to bring together many important people to us as well as invite new guests. That’s why Theo Parrish and Ade Fakile will both play on Saturday, which has a great emotional significance for us. Sadar Bahar, Floating Points, Hunee and Gilles Peterson will also be there; KC The Funkaholic will tell our Amsterdam story. It’s also an honor to have contemporary jazz greats like Robert Glasper and Christian Scott. We’ve managed to get most of those who mean a lot to us there. So this event will really tell the story of JAW. For more club features on nights in Tbilisi, Budapest, Berlin and beyond click here.